This article is by Ann Fordham and Martin Jelsma, and is republished from openDemocracy . It is part a series of articles about this April's UNGASS. Further information appears below. In April 2016, the UN will dedicate, for the third time in its history, a United Nations General Assembly Special Session (UNGASS) to discuss global drug policy. The UNGASS has the potential to be a ground-breaking moment that could change the course of the international drug control system. However, political divisions and entrenched institutional dynamics have dampened hopes  that it will go down in history as the beginning of the end of the war on drugs. At the joint request of Mexico, Colombia and Guatemala, the General Assembly decided to bring forward the convention of a special session to assess "the achievements and challenges in countering the world drug problem", originally foreseen for 2019 or 2020 . The three countries stated at the time that "revising the approach on drugs maintained so far by the international community can no longer be postponed", and the UN needed to exercise leadership  to "conduct an in-depth review analyzing all available options, including regulatory or market measures, in order to establish a new paradigm that would impede the flow of resources to organized crime groups". An international meeting had to be convened, "capable of taking the decisions necessary to increase the effectiveness of the strategies and instruments with which the global community addresses the challenges of drugs and their consequences". In this context, the UNGASS in April represents a critical juncture, an opportunity for an honest evaluation of global drug policy and how to address the most pressing challenges going forward. Secretary General Ban Ki-moon, in recognition of this rare and important opportunity, has urged member states  to use the 2016 UNGASS "to conduct a wide-ranging and open debate that considers all options." The initial discussions to prepare for the UNGASS were fraught with disagreements over many procedural aspects. These included difficult negotiations over the extent to which the UN Commission on Narcotic Drugs (CND) in Vienna would lead the process; how to strike the right balance between the UN capitals of Vienna, Geneva and New York in the preparations; how to ensure meaningful involvement of all relevant UN agencies, academia and civil society; and – last but not least – how open the debate should be: should it be restricted to a discussion of how to improve the implementation of the 2009 Political Declaration  and the achievement of its targets for 2019, or should the UNGASS be an opportunity to challenge the current global drug control strategy, possibly even questioning its foundation of the three UN drug conventions? In the end, the hard fought-over resolution on the procedures decided that the UNGASS "will have an inclusive preparatory process that includes extensive substantive consultations, allowing organs, entities and specialized agencies of the United Nations system, relevant international and regional organizations, civil society and other relevant stakeholders to fully contribute to the process", while the CND "as the central policymaking body within the United Nations system dealing with drug-related matters, shall lead this process", inviting the president of the General Assembly  to "support, guide and stay involved in the process". UN special sessions are rare and crucial moments in UN-level policy making and are designed to ensure a coherent UN system-wide response to global problems of major concern to the international community. This has so far been less than optimal in discussions on global drug policy. After initial slow engagement from other key UN agencies, significant contributions have now been made from UNDP, UNAIDS and the WHO. The Office of the High Commissioner for Human Rights has also submitted a comprehensive report that outlines the most pertinent human rights violations in relation to drug control policies, while the Human Rights Council held a high level panel in September 2015 on the topic of  "the impact of the world drug problem on the enjoyment of human rights". Unfortunately, there are also crucial areas where a strong European voice has been absent, and the EU has failed to understand or acknowledge the sense of urgency and relevance of this UNGASS. This is clearly the case with regard to the shift in priority that Latin American countries are seeking, to move away from arresting small-time dealers and chasing drug shipments towards reducing drug-related violence, organised crime and corruption instead. In a sense, this is a plea for a harm reduction policy on the supply side : the drugs market will not be “eliminated or significantly reduced” by 2019, and it is time to forget the hollow illusion of a drug-free world. Another example is the lack of EU engagement in the debate about global cannabis policy developments, the result of the absence of a common EU position on cannabis and huge national policy variations. Demonstrating an ostrich-like denial regarding cannabis policy developments in the Americas but also at local levels within the EU, the EU common position  for the UNGASS underscores the need to “maintain a strong and unequivocal commitment to the UN conventions” and that there is “sufficient scope and flexibility within the provisions of the UN Conventions to accommodate a wide range of approaches to drug policy”. In addition, the issue of drug control is a low political priority as the EU currently has it hands full with the refugee crisis and existential threats around the euro and the future of European integration. A game-changing difference between this UNGASS and the preceding ones is the fact that the position of the US has fundamentally changed. No longer among the hardliners, the US has acknowledged, both at the UN but also more recently domestically, that the over-reliance on incarceration has failed. In August 2013, US Attorney General Eric Holder admitted that mandatory minimum sentences for drug offences were ‘draconian’ and that too many Americans had been imprisoned for too long for no good law enforcement justification. He made it clear that the status quo was unsustainable and damaging. In 2015, President Obama began a process to commute the sentences of around 6,000 federal drug offenders. In early 2016 the congressional task force created to examine overcrowding in the federal prison system, recommended the repeal  of federal mandatory minimum sentences for drug offences. Different legislative initiatives have been tabled, including the Smarter Sentencing Act, which would cut many mandatory minimums for drug offences in half . The domino effect of cannabis regulation at state level makes the US less sure-footed of condemning other countries for not stringently adhering to a zero-tolerance approach. Cannabis regulation for recreational use is outside of the scope of the current UN treaty framework for drugs, creating a significant problem for the US since it undermines its credibility to continue defending the conventions as they stand . The big question is whether this will lead to the US accepting more flexibility in policy areas that have been explored elsewhere. These include initiatives such as decriminalisation, drug consumption rooms or the regulation of coca in Bolivia, all policy options that the US currently opposes. The past several years have seen significant changes in the global drug policy landscape representing a trend towards more humane and proportional responses based on health, human rights and development principles. To some extent, the UNGASS will acknowledge those advances and thereby consolidate the significant change of course that is happening in various regions of the world. Perhaps the most significant advance will be on the issue of access to controlled medicines – an area that has long been de-prioritised in favour of a focus on repressive, law enforcement-led approaches to reduce the illicit drug trade. 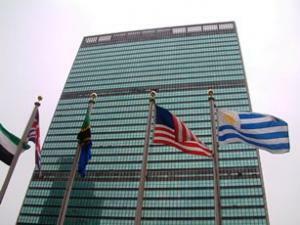 Most drugs included in the schedules of the UN conventions also have important medical purposes, and several appear on the WHO “List of Essential Medicines”. However, the availability of opiate painkillers like morphine for example, has been dramatically low in most developing countries due to overly strict regulations reflecting over-riding concerns about diversion and addiction rather than a need  to ensure access to pain relief. Unfortunately, other areas of progress remain stilted. Russia, alongside several Asian and Middle Eastern countries, has played hardball in the negotiations, effectively putting the brakes on the shifting discourse. The negotiations are driven by consensus, making it unlikely that contested policies in the field of harm reduction, or reforms like decriminalisation, despite being widely accepted and propounded by all relevant UN agencies, will be explicitly recommended in the UNGASS outcome document. Likewise, a clear condemnation of the death penalty for drug offences is probably going to be blocked by a small group of countries. The prophecy that allowing the CND to take full control over the UNGASS preparations would undermine progress towards a more system-wide coherent UN drugs policy seems to be being borne out. Negotiations about the UNGASS outcomes  have taken place mostly in ‘informal’ sessions in Vienna, dominated by a minority of member states and from which civil society is excluded from participating or even observing. For the General Assembly, an obvious priority for this UNGASS would be how to align UN drug policy with the recently adopted new global framework of the Sustainable Development Goals (SDGs), but negotiations in Vienna carry on as if they are negotiating another CND resolution. Submissions from other member states , UN agencies and civil society calling for a recognition of the failure of repressive responses and highlighting the need to connect the drugs issue with the agreed UN priorities for the future of the planet have so far not been reflected in successive drafts of the UNGASS outcome document. The general tone of these drafts is very much ‘business-as-usual’. At present, few countries are willing to openly acknowledge the existence of structural deficiencies with regard to UN system-wide coherence, the institutional architecture and the legal treaty framework. No easy solutions are available for reforming the foundations of the global control system and consensus will be hard to find, but a continued denial of the reality of the on-going policy trends and the resulting tensions with the treaty system will not make them disappear. In fact, to do so will hinder the much-needed evolution of the UN drug control system and its ability to adapt to the realities  of today. Towards this end, it could be helpful if the UNGASS outcome leads to the convening of an advisory group or an expert panel to think through different scenarios for the future evolution of the system, especially in the lead up to the next important moment in 2019 when member states will have to agree a new global action plan on drugs, hopefully more in line  with the broader set of UN priority goals for the next decade. This article was written by Ann Fordham of the International Drug Policy Consortium  and Martin Jelsma of the Transnational Institute . It is published as part of an editorial partnership between openDemocracy and CELS , an Argentine human rights organisation with a broad agenda that includes advocating for drug policies respectful of human rights. The partnership coincides with the United Nations General Assembly Special Session (UNGASS) on drugs. http://www.facebook.com/sharer.php?u=https://stopthedrugwar.org/speakeasy/2016/mar/16/will_ungass_2016_be_beginning_en&amp;t=Will UNGASS 2016 Be the Beginning of the End for the War on Drugs? http://www.stumbleupon.com/submit?url=https://stopthedrugwar.org/speakeasy/2016/mar/16/will_ungass_2016_be_beginning_en&amp;title=Will UNGASS 2016 Be the Beginning of the End for the War on Drugs? http://reddit.com/submit?url=https://stopthedrugwar.org/speakeasy/2016/mar/16/will_ungass_2016_be_beginning_en&amp;title=Will UNGASS 2016 Be the Beginning of the End for the War on Drugs?